Nursery Technician Colin Faulds has been working in the Scion Nursery for 35 years. The new facilities will significantly improve many of the existing nursery processes for him and his colleagues. With these facilities, the team will be able to perform climate-controlled seedling and cutting production trials for indigenous and exotic species, and tissue culture hardening, growing and ex-vitro rooting trials. Construction began in March 2019, and the new facilities will be ready in spring 2019 for the growing season. This is a first step. The longer-term vision for the Scion Nursery includes an integrated propagation research facility that incorporates generative, classical vegetative and tissue culture propagation with a high level of automation and mechanisation. 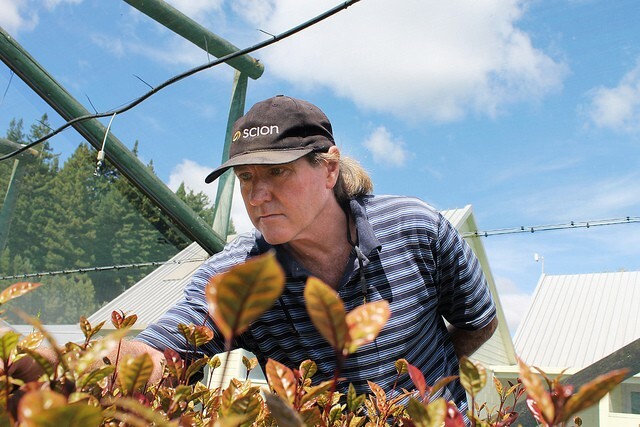 Craig sums it up, “Our vision is to develop, demonstrate and deploy technologies within New Zealand to grow improved trees more quickly, sustainably and do so without compromising on health, survival, and growth in the field for both native and exotic species.